Metropolis Living got started in Toronto’s Junction neighbourhood, but has since moved to the Caledonia and Castlefield design district. We haven’t yet dropped into this bigger location, but the treasures promise to be as delightful (or just plain weird) as the old location. 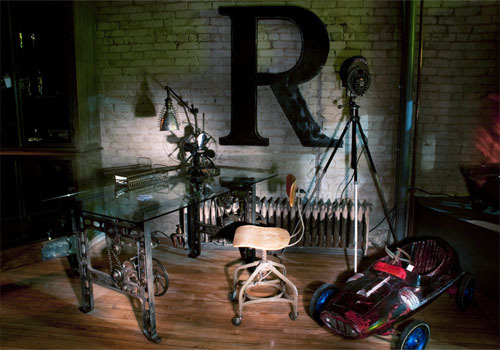 A selection of vintage signs, lights, and oddities are available for purchase online. At home, a miniature galvanized capital ‘H’ from Metropolis demarcates my side of the bed.